The Trump administration is aggressively pushing to restart nuclear weapons production on an industrial scale, giving Los Alamos a green light to make plutonium pits in much greater numbers. Featured image: An aerial shot of the Pantex Plant, where US nuclear weapons are assembled and taken apart. Government photo, undated. The Defense Nuclear Facilities Safety Board—which oversees and reports on safety practices in the US nuclear weapons complex—is under siege. Congress created the board almost 30 years ago to address years of lax safety practices. Now, the Energy Department is seeking to block the board’s access to safety information, excluding the board from overseeing worker protection at dozens of facilities and blocking board staff from interacting with contractors that operate the department’s nuclear sites. At the same time, the board is undergoing an internal crisis that affects staff morale and, ultimately, its critical role in ensuring the safety of the government’s largest high-hazard research and industrial enterprise. Removing and safely packaging large amounts of unsafe nuclear explosive materials from several sites. Reducing explosion and fire hazards, a dominant concern. Increasing emergency planning and response to major nuclear accidents. Upgrading antiquated safety systems at nuclear facilities. Despite this record of achievement, the board now faces difficulties that include the actions of some if its own members, who either don’t want or can’t seem to execute its mission. Last year, Sean Sullivan, the acting chairman installed at the request of Senate Republicans, tried to secretly convince the Trump White House to get rid of the board entirely, claiming it was “a relic of the Cold-War era defense-establishment.” Sullivan failed and was compelled to resign after his effort was revealed to the public. The restructuring plan cannot be considered in isolation from the Trump administration’s aggressive dismantlement of oversight across the government, especially in light of the Energy Department’s constantly stumbling efforts to build new nuclear weapons at its antiquated facilities. The Congressional Budget Office has estimated that US nuclear weapons laboratories and supporting activities will cost $261 billion over the next three decades. The board’s restructuring plan is expected to begin by October 18 of this year and follows the Trump administration’s playbook of slashing safety oversight in federal agencies, as has happened with the Chemical Safety Board, responsible for investigating industrial chemical accidents. Unless Congress intervenes, the restructuring of the Defense Nuclear Facilities Safety Board will proceed. Safety and conflict in the nuclear weapons complex. Unlike the commercial nuclear power industry, which consists of a relatively small number of reactor designs, the nuclear weapons complex includes a host of one-of-a-kind facilities, many built 50 to 70-plus years ago. Over the decades, each Energy Department site in the complex has created its own unique culture, shaped by secrecy, isolation, and demands of the Cold War nuclear arms race. Since making the most dangerous weapons in the world involves working with some of the world’s most dangerous materials, the employees in the nuclear weapons complex need a high degree of protection against workplace exposure to radiation and toxic materials. The United States is already paying a stiff price for the harm caused to the workers who made nuclear weapons through the 1980s. To date, 120,599 deceased and sick nuclear weapons workers have been paid $15.37 billion in compensation and medical care. Via a semi-autonomous subunit known as the National Nuclear Security Administration (NNSA), the Energy Department manages the US nuclear weapons complex in an unusual manner. In the complex, private contractors control at least 10 times more employees than federal managers. And unlike the rest of the government, the Energy Department self-regulates its workplace safety performance, primarily through a system of “orders” that are not on their own legally binding, but rather are enforced as requirements in contracts with private companies. With its origins in what the US Governmental Accountability Office has described as an “undocumented policy of blind faith in its contractor’s performance,” this regime is largely dependent on an honor system, in which contractors are expected to self-report their safety problems. The acrimony that now roils the Defense Nuclear Facilities Safety Board is fairly recent in genesis and does not reflect decades of board members’ consensus in favor of higher safety standards in the nuclear weapons complex, going back to the safety board’s beginnings. Led in large part by Sen. John Glenn, an Ohio Democrat, Congress created the safety board in the aftermath of the April 1986 Chernobyl nuclear accident. Even before Chernobyl, there were serious safety concerns about the US nuclear weapons industry, which operated antiquated facilities immune for decades from independent safety regulation. But shortly after the Chernobyl catastrophe, a House subcommittee revealed that the Energy Department had instructed its nuclear safety experts to avoid comparing US weapons production reactors with those at Chernobyl—even though the US reactors also lacked the kind of containments required of modern commercial power reactors to limit the escape of radioactivity, should a major accident occur. The Defense Nuclear Facilities Safety Board was established in legislation signed in September 1988, as the Energy Department launched its first candid safety assessments, which were followed by the National Academy of Sciences, as requested by Congress. Although the board does not have the power of a regulator, its recommendations do legally require the energy secretary and, if necessary, the president, to respond, subject to congressional oversight. Most important, the board’s reports have opened a window for the public to see what the nuclear weapons program, is, or is not, doing to protect the safety of the public and workers. Reporting that causes a stir. Unhappy with public access to the board’s weekly staff reports, Frank Klotz, then administrator of the National Nuclear Security Administration, proposed making them secret last year, with board member Hamilton’s active support, claiming the reports interfered with the agency’s mission. The proposal was withdrawn in the wake of news reports on safety problems in the nuclear complex. The board’s recommendations have sometimes been controversial, and the Energy Department has been known to respond to them at a glacial pace. For instance, after the board flagged several disturbing safety violations in 1994, the Energy Department was compelled to stand down its main highly enriched uranium processing plant in Oak Ridge, Tenn.—for 12 years. The plant required a $500 million upgrade before it could restart. In recent years, the board has been at odds with the NNSA over potential nuclear explosion dangers at the Pantex Plant near Amarillo, Texas, where nuclear weapons are taken apart and assembled. An accidental nuclear explosion is, obviously, the most devastating threat the weapons complex poses; even so, NNSA management spurned numerous safety assessments by the site’s own Nuclear Explosive Safety group. The NNSA and its contractor managers reacted with such hostility to requests to fix longstanding deficiencies that eight of 10 members of the Nuclear Explosive Safety group told the safety board that they felt their careers were threatened. After the board aired these problems in 2013, senior NNSA officials were forced to concede that nuclear explosive safety at Pantex was being compromised. 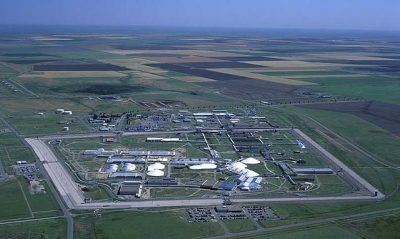 Pantex remains a safety outlier in the weapons complex; it has yet to adopt the Energy Department’s legally binding occupational radiation protection standard—more the 20 years after its adoption by the rest of the complex. Recently, the board’s staff has raised concerns that involve tens of tons of plutonium from dismantled weapons stored on an “interim basis” in facilities at Pantex. The storage magazines that hold the plutonium were built more than 50 years ago and were never intended to indefinitely store one of the largest (and growing) nuclear explosive inventories in the world. In 2010 and 2017, heavy rains, predicted to occur only once every 2000 years, flooded a major plutonium storage area with several inches of water, which shut down the plant and affected about 1,000 containers of plutonium. Now, some containers affected by the flood are showing signs of corrosion. Given the NNSA’s reluctance to build a state-of-the art nuclear explosive facility, tens of tons of plutonium are likely to remain in these antiquated structures, awaiting further floods and posing a continuing danger. A problem at Los Alamos and beyond. One of the Defense Nuclear Facilities Safety Board’s biggest challenges involves the Los Alamos National Laboratory, where the Trump Administration hopes to make dozens of plutonium weapons components, known as “pits,” necessary to ignite a nuclear explosion. Despite repeated recommendations by the board, Los Alamos refuses to reduce the approximately five tons of plutonium stored onsite, in facilities that could release it to the environment. By 2012, in a decisive act of no confidence, nearly all the safety experts responsible for preventing nuclear criticality accidents at Los Alamos resigned in protest over what has been described as the “cowboy culture” at the lab. The NNSA couldn’t ignore the mass protest, which led to a four-year closure of the lab’s plutonium processing facility, known as “PF-4.” Now, however, the Trump administration is aggressively pushing to restart nuclear weapons production on an industrial scale, giving Los Alamos a green light to make plutonium pits in much greater numbers at an antiquated facility that is unable to demonstrate it can meet safety requirements. Currently, about half of the contractor employees with skills critical to maintaining the US nuclear weapons stockpile are close to retirement. The safety board needs to make sure that staff cuts and loss of staff morale do not similarly diminish its institutional expertise. At the same time, Congress should step in and strengthen the board’s presence at and access to nuclear weapons complex sites and its powers of access. Congress also needs to provide adequate funding and to prevent the Energy Department from curtailing safety board activities that have been so critical to protecting workers and the public alike. Though the Cold War is long over, the Energy Department’s antiquated, contractor-dominated management system—in which safety goal posts are easily moved behind closed doors—continues to endure and, in some cases, thrive. Without the meaningful oversight of the Defense Nuclear Facilities Safety Board, the nuclear weapons complex will predictably march back to a time, in the not-so-distant past, when public and worker safety was an afterthought—with serious consequences. A senior scholar at the Institute for Policy Studies, Robert Alvarez served as senior policy adviser to the Energy Department’s secretary and deputy assistant secretary for national security and the environment from 1993 to 1999.